We drive from our home in Eugene, Oregon to visit family in Southern California. 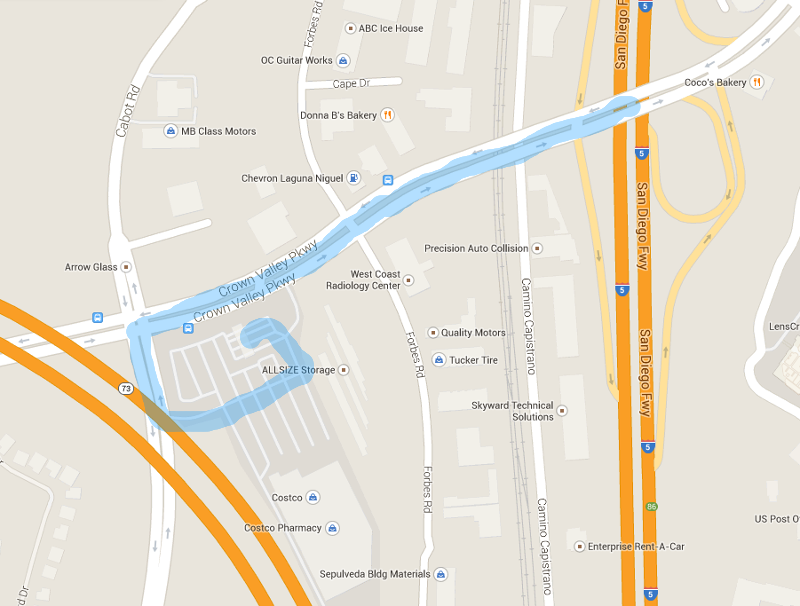 Here is our list of Costco stores along Interstate 5 to stop by to buy gasoline. 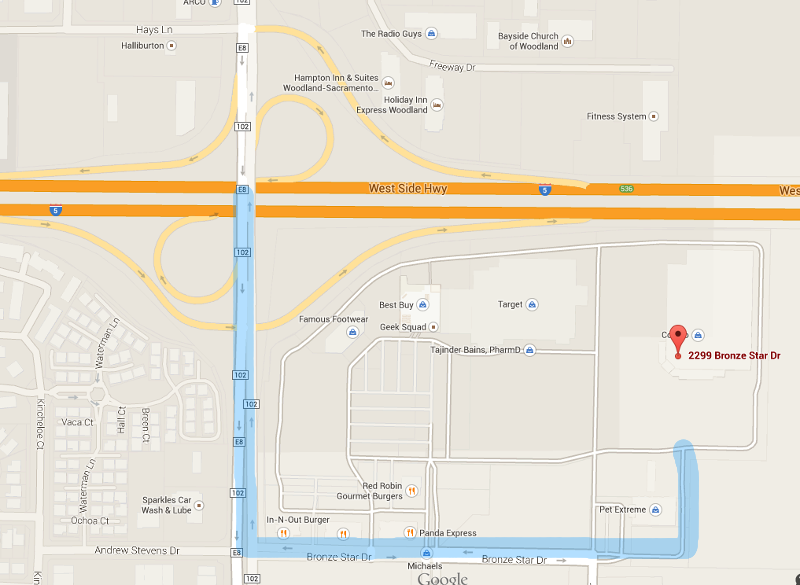 A big thanks to Google Maps for the map images. I used GIMP to add the blue lines (color #2980b9, width 20, layer opacity 30%). The Medford Costco is only half a tank of gas from home. But we always fill up here so we can drive all the way to Woodland with our next tank of gas. The Woodland Costco is very close and convenient to the Interstate 5. We fill up here so we need not deal with the less convenient locations in Sacramento. 294 miles since Medford. A nice rest stop about three hours after Woodland is the Bravo Farms collection of stores at the Kettleman City exit. They have a play area for children as well as food and ice cream. 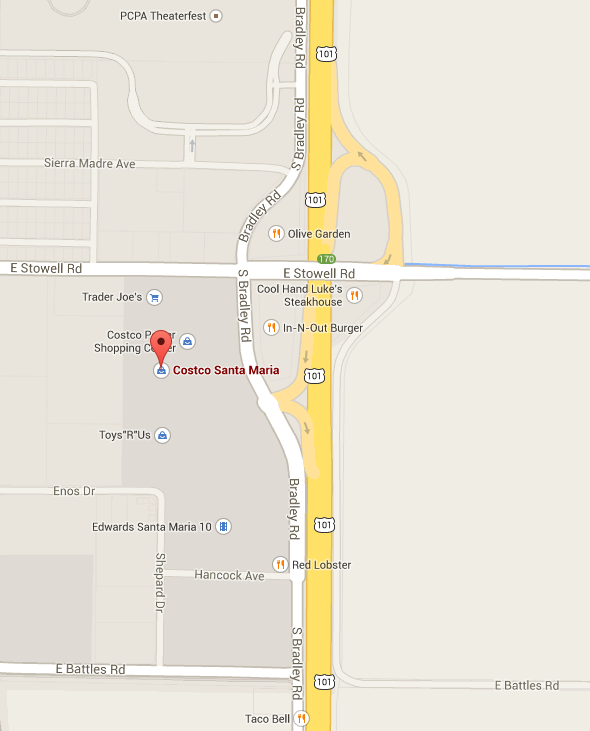 The Manteca Costco is a less than ten minutes off I-5, and twenty minutes south of Stockton. We have never been there, but someone who found this webpage recommends it. 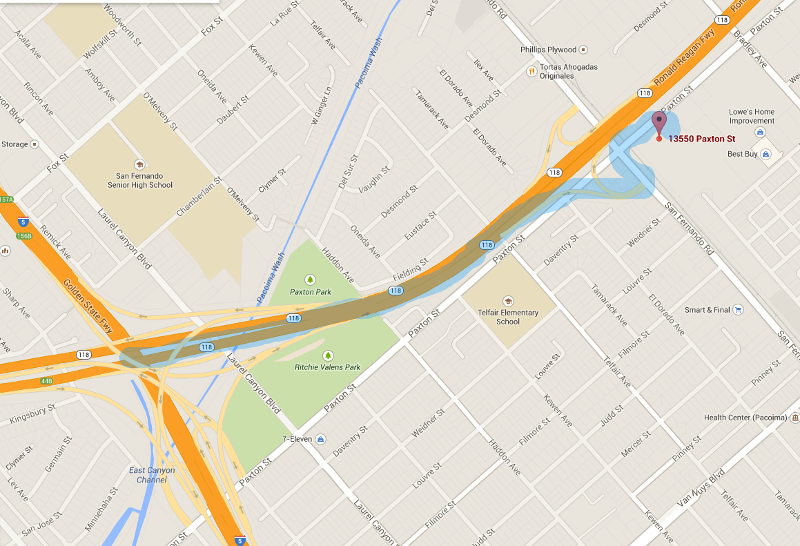 The Pacoima is only a few minutes from the Interstate 5. It is much more convenient than the Stockton and Bakersfield Costcos. 382 miles since Woodland. This is our final southbound fill-up since family in San Diego is only 131 miles south of this Costco. To bypass some Los Angeles traffic near Burbank and Glendale when southbound, use the CA-170 S toward Hollywood, which merges with the US-101 S toward East Lost Angeles and returns to the Interstate 5. The Laguna Niguel Costco is less than ten miles from the Irvine Costco and less than twenty miles from the Tustin Costco. 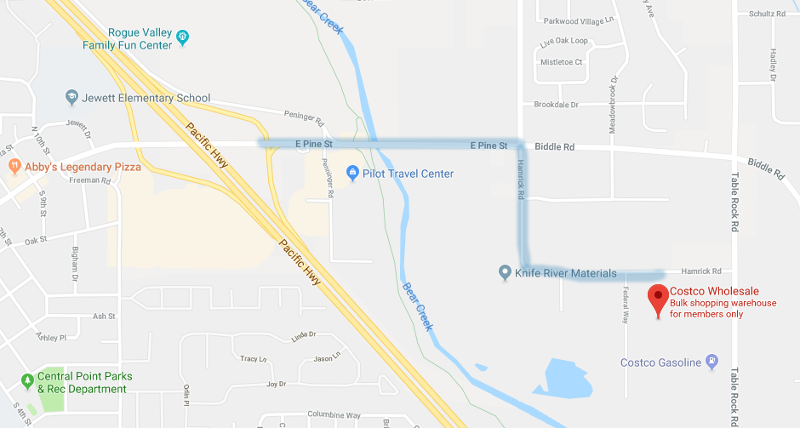 It is closer and more convenient to the Interstate 5 than either of those two. We use it often because we have family living nearby. The Santa Maria Costco is useful if we leave Intertate 5 to drive through Monterey. It is very near CA-101 at exit 170. For extra goodness, it shares its shopping center with a Trader Joe's to help us replenish our supply of gluten-free food while traveling.